Father John Phelps is the President and C.E.O. of Life Directions, which he co-founded in 1973 with four other concerned Detroit citizens, Fr. Alex Steinmiller, CP; Sister Rosalie Esquerra, OP; Alexander & Judith MacDonald. He is a Roman Catholic Priest, ordained in 1968, and belonging to a religious community of men called the Redemptorist Congregation. Fr. Phelps’ primary work is among young adults (13-35 years of age), with a priority on those on the verge of dropping out of school and into self-destructive life choices. He is especially focused on those who come from families below or near the poverty line. Among his many academic achievements, Fr. Phelps holds a Bachelor's of Philosophy Degree with a minor in Psychology, Master of Arts Degree in Religious Education and a Master of Divinity Degree. In 1999, he completed a four-day Executive Training course offered by the Gallup Organization in Lincoln NE. From 2005-to-2007, Fr. 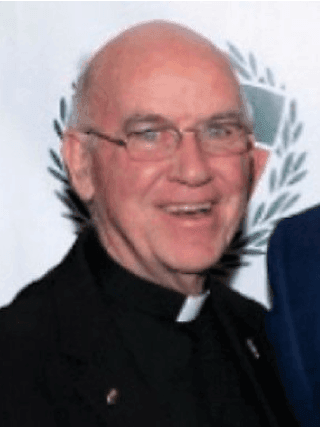 Phelps served as pastor of St. Alphonsus “Rock” Church in St. Louis, MO and President of Nativity-Miguel Middle School in St. Louis, serving 350 pre-school to 8th grade students. In 2009, he returned to Life Directions as full-time CEO. Fr. Phelps is a renowned preacher and lecturer. He has led hundreds of workshops in cities, colleges, and universities throughout the United States and abroad. In1990, Fr. Phelps was invited to bring Life Directions to Chicago. In partnership with the co-founders, in 1993, he established Life Directions USA as a not for profit organization incorporated in the State of Illinois and doing business in 4 additional states. Additionally, his work had led him to be highly sought after as a consultant on issues concerning at-risk youth. He has served with many various ecumenical organizations, church groups, corporations and educational institutions that are striving to place a priority on developing inclusive partnerships among people of diverse backgrounds and economic differences. With Fr. Phelps’ leadership, Life Directions has been working for over 40 years to promote the powerful dynamic of Peers Inspiring Peers Through Forgiving.